A safe haven with the emphasis on nurturing, allowing the children the opportunity to freely express themselves and share their worries and concerns. 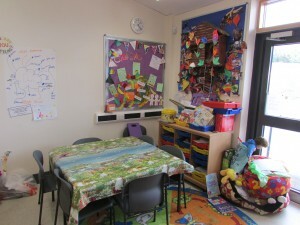 The children are taught strategies to enable them to cope. The children refer to the nurture room as ‘The Den’ a place they can go, where they will be listened to and not judged, thus empowering them to deal with situations that may arise. The door is always open!